Evidence of human habitation in the municipality of Bullas has been found dating back as far as the Neolithic (this period broadly dates to 4,800 to 3,000 BC across southern Spain) and the time of the Argaric culture (2200BC to around 1550BC), and later eras saw the Roman, Visigoth and Moorish cultures appear in the area. However, the name of the town is first mentioned in sources which date from the 13th century, when King Alfonso X “El Sabio” relinquished his direct control of the castle and “villa” of Bullas to the town of Mula. From that point on Bullas has its own documented history, one of the highlights of which was in the year 1689, when it became independent from Cehegín and achieved its own urban identity. Since then periods of growth and expansion have alternated with others of ill fortune and hardship, until in the 20th century Bullas became a fully consolidated urban area with a sizeable population, some of whom have contributed to the history of the nation. The very nature of ancient history is that unfortunately it is poorly documented, and this is especially true in the case of the municipality of Bullas, where, as far as we know, there was no major settlement until the Early Middle Ages. The population was scattered over a largely rural landscapes at agricultural concerns, and information regarding the activities there has had to be deduced from archaeological findings. On the hill called “Cabezo de Oro” or “Pasico Ucenda” artifacts have been found which date back approximately 4,000 years, and here, as elsewhere in the north-west of the Region of Murcia, it is known that before the birth of Christ the area was populated by the Argaric culture followed by the Iberian tribes. It was not until Roman times, though, that the arts of grape-growing and wine-making became associated with Bullas. This is demonstrated by the discovery of a ruined villa known as Los Cantos which was used by the Romans to oversee agriculture in the area, especially grape and olive cultivation, and which is perhaps best known for the statue of “El Niño de las Uvas” (the boy with the grapes). This was one of four statues found at the site of the villa when it was first excavated in the nineteenth century, and it is known that all four sculptural pieces were unfortunately removed from the site. Originally they were located at the four corners of a central patio, forming part of an ornamental system which both gathered rainwater and irrigated a garden area during the drier months, and in 2016 three were recovered after a long investigation into their disappearance. 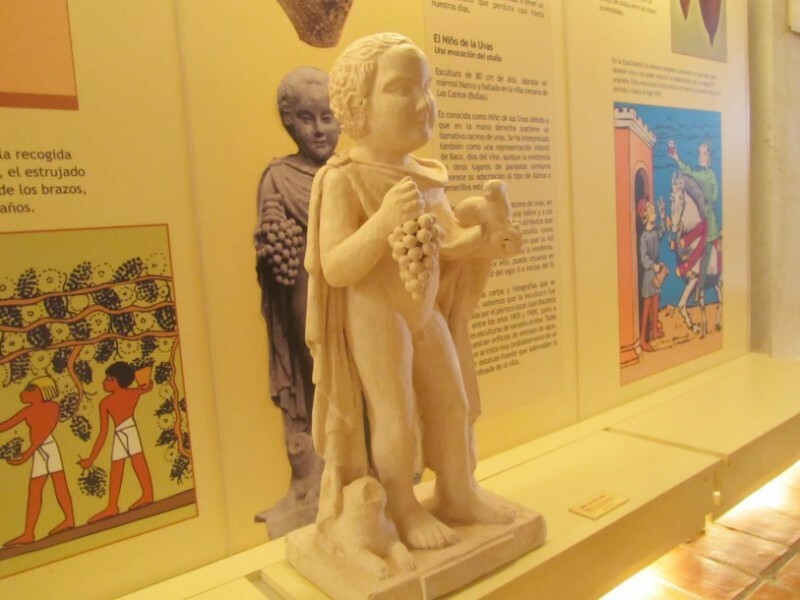 The "Niño de las Uvas" is still missing, despite some locals having strong suspicions as to where he might be found, and it is only possible to see a replica of the statue in the Wine Museum of Bullas, but a statue of Aphrodite which was found at the villa is now safely housed in the National Archaeological Museum in Madrid. The remains found at the villa date from between the 2nd century BC and the fifth century AD, and the presence of the Romans in Bullas is also testified to by the existence of a quarry in the rural area of El Pinar which has been awarded listed status by the regional government’s Department of Culture, and which was probably run from another Roman villa in Fuente del Romero. As was the case in the rest of southern Spain, the departure of the Romans was followed by the arrival of the Visigoths, and then in the 8th century the long period of Moorish rule began with the Pact of Tudmir in 713. 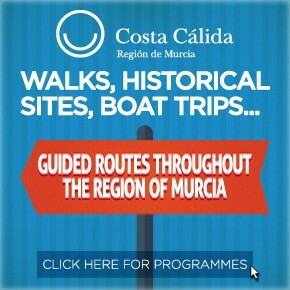 It was in the latter half of the Moorish occupation of what is now Murcia, between the tenth and twelfth centuries, that a substantial permanent settlement emerged at the location of the town of Bullas. At this time there were frequent punitive incursions into the kingdom of Murcia by Christian raiders from Castile and Aragón, although the situation was alleviated by the diplomatic skills of the Moorish leader Mohamad ibn Mardanis, the legendary Wolf King of Murcia. He set in motion the construction of a series of fortresses throughout his kingdom and coordinated the distribution of his defence forces, and it is almost certainly as part of his forward-thinking defence strategies that a castle was built on the hill which is now known as El Castellar. Between 1243 and 1245 the Christian prince Alfonso of Castilla, later to become King Alfonso X “El Sabio”, fought a campaign which eventually succeeded in ousting the Moors from the Kingdom of Murcia, and the first time Bullas is mentioned in documented records comes from not long afterwards in 1254, when Alfonso recognized the town as a “villazgo” and ceded control of both Bullas and Pliego to the Christian community of Mula. It is in this period that the local legend of the “Bajada de la Mora” is believed to have its origins. The story concerns the love between a Moorish princess and a Christian prince, who used to meet in secret at the Salto del Usero beauty spot just outside the town. One stormy night, though, the princess went down to the river in vain as her lover failed to arrive, and imagining the worst, she threw herself into the river and was never seen again. 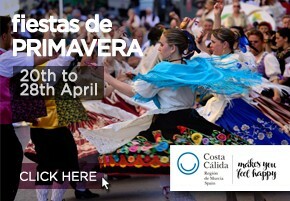 It is over 225 years since the locals began to perpetuate the legend that her soul goes down to the river in search of her loved one every year on the night of San Juan, and now this ritual is performed annually on 24th June. There were legal disputes in 1365 and 1390 between Caravaca and Cehegín over the exploitation of the land in the modern municipality of Bullas, with the town of Cehegín emerging victorious from these struggles and being awarded the “villa de Bullas” by the Order of Santiago in 1444. It then remained under the control of Cehegín until the late 17th century. For much of this period, though, Bullas itself was practically uninhabited, having failed to revive its fortunes after the expulsion of the Moors from Murcia in the 13th century and from the rest of southern Spain in 1492. But in the 16th and 17th centuries it gradually began to grow, and by 1660 there were 160 inhabitants: it was they who complained that they were being discriminated against by the authorities in Cehegín, and began to push for segregation from their neighbours. In 1664 the town received permission to install its own baptismal font and the right to perform the holy sacrament in the church of San Antón, and this gave rise to the well-known story of the “pila robá” (the stolen font). This was the result of another dispute, which arose when the Mayor of Cehegín stopped the transport of the slab of marble which was to be used for the font, and the natives of Bullas reported the matter to King Felipe IV. The king ordered the parish priest to return the font to its original destination, but this decision was not received well by the people of Cehegín, and for many years afterwards they referred to the inhabitants of Bullas as “the ones who stole the font”, alleging that they had managed to take possession of the stone even before the sentence had been passed. From then on, behind the backs of the authorities in Cehegín, the inhabitants of Bullas worked to ensure their independence, and in 1689 King Carlos II “El Hechizado” signed away the status of “villazgo” to Bullas on 19th December after first receiving a handsome payment from the town. From 212 houses in 1696 Bullas grew to 315 in 1730, and 750 by 1800, when the population reached 3,400. The number was increased by the inclusion of the village of La Copa de Abajo, which was incorporated into the municipality after independence from Cehegín had been achieved. In 1723 a new church was inaugurated, called the Iglesia de Nuestra Señora del Rosario. This dedication of the church was voted for democratically, beating off a not very stiff challenge from “San Bartolomé” by 28 votes to one. By the end of the 18th century the population had risen to 5,000, despite the many hardships of these years, which included plagues and other epidemics. La Copa became an outlying village with representation on the town council, and grew to a population of 400 in its three or four streets, which contained its own church dedicated to Nuestra Señora de la Consolación. 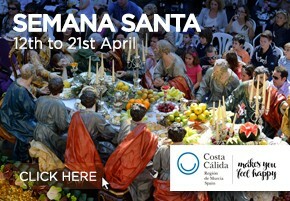 During the century the now traditional processions of Easter Week and the dramatic theatre of Christmas were also introduced into the annual calendar of Bullas. Little by little Bullas began to form part of the wider political picture of Spain as a whole. On 8th September 1808, when Napoleon was invading, the town declared its unconditional support for King Fernando VII, and after his death the monarchy was constitutionalised. The new square in the centre of the town was named the 'Plaza Constitucional de Isabel II', but this name was to change various times, reflecting the turbulence of the period in Spain. After Isabel II was removed from the throne by the revolution of 1868 it became the “Plaza de la Libertad”, and returned to being the “Plaza Constitucional” after the restoration. It has since been named the “Plaza de Perea”, “Plaza de la República”, “Plaza del Generalísimo”, and finally (for the time being at least!) the Plaza de España. During the 19th century there was a prolonged conflict with Mula concerning the water supply, and it was partly the importance of agriculture that led to a new clock tower being built in 1900: it was placed in a prominent location at one of the highest points in the town with the clock face pointing out towards the fields, so that not only could the chimes of the hour be heard but the time could also be seen from a distance and irrigation times for individual farmers could be observed. 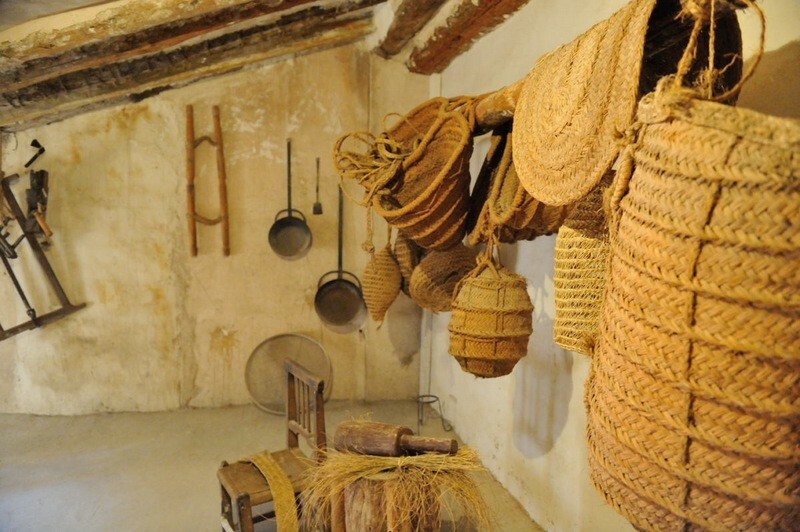 At this time wine was still being produced as one of the pillars of the economy of Bullas, and many of the items on display in the Wine Museum date back to the techniques which were in use before technological advances made mass production viable. At the end of the century, the whole of Spain was affected by the split between liberals and conservatives that followed the restoration of the monarchy, and in Bullas this conflict was personified by the Marsilla, Melgares and Carreño families, who dominated the local bourgeoisie and controlled the Town Hall and all political and social life in the town. It was they who proposed and financed all new projects, and there were many of these before the turn of the century, as can still be seen in the town centre. They competed with each other to build noble houses, but also spent money on charitable activities and new services and utilities in the town. 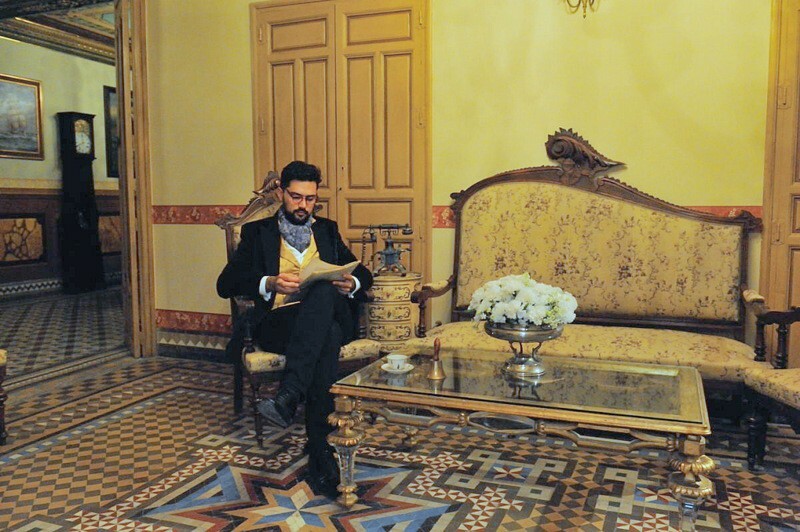 Prestige also grew thanks to Don Juan de la Gloria Artero, the author of textbooks used at the end of the century throughout Spain: Don Juan was a native of Bullas, having been born in the town in 1834. In 1894 the public washing facility was built, followed three years later by the arrival of the first telephone and telegraph service and in 1900 by electricity. But the century ended with disaster for the local economy, as a plague of phylloxera devastated the vineyards. 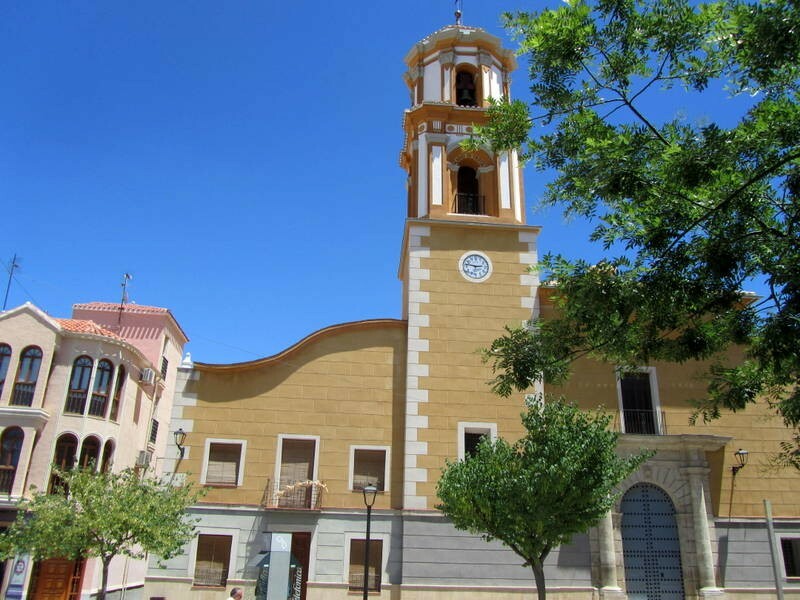 The century began with the inauguration of the Torre del Reloj, but the modern age didn’t really arrive in this rural area of the Region of Murcia until the 1920s. In 1922 work began on the railway line, which was finished ten years later, while one of Bullas’ heroes, Diego Flomesta Moya, was laying down his life in the military disaster at Annual, in Morocco. After the uproar at the start of the Civil War in 1936, Bullas remained relatively quiet for the rest of the conflict. Juan López Sánchez, another native of the town, became Minister of Trade under the socialist president Largo Caballero, but the town itself stagnated during the war and the population fell by more than a thousand between 1935 and 1940, due partly to those killed in combat (estimated to have numbered approximately 200) and partly to other, less direct, casualties of war. 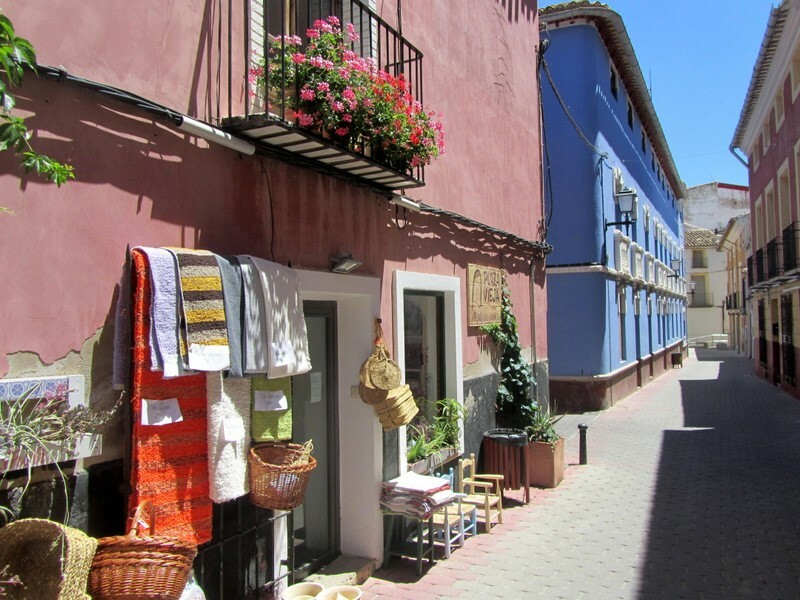 After the war work began on the large water supply infrastructure of the Canal del Taibilla, providing employment for a large number of people from Bullas and, of course, improving the supply of irrigation and drinking water to the town. Despite this many people left Bullas to seek a new life elsewhere, mainly in Catalunya, France and Germany, bringing about a further decrease in the town’s active population. But the 1960s saw a revival of Bullas’s economic fortunes, with a long and gradual process of industrialization in the canned fruit sector and the growing prestige of the locally produced wine. After the death of General Franco in 1975, the population of the town gave its support to the Constitution of 1978, and King Juan Carlos I visited Bullas in 1980, the only time a monarch has come to the town. Unfortunately this occurred in unusual circumstances, when Bullas was suffering the serious effects of an extremely heavy snowfall. After the celebrations of its 300th anniversary in 1989 a development program was instigated to promote exports, tourism and craftsmanship, and this was really when the municipality’s excellent wines began to gain national and international recognition. 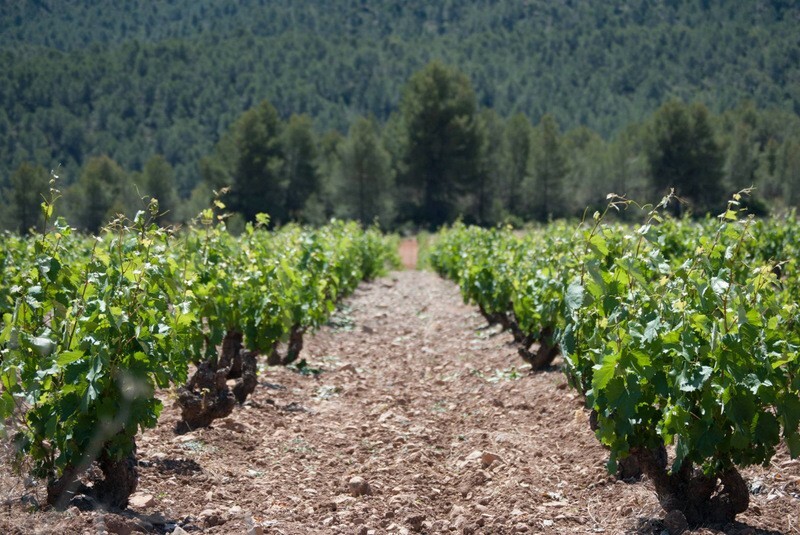 These wines have been the outstanding feature of the local economy since a large amount of production was taken over by two cooperatives in the 1950s (Nuestra Señora del Rosario and San Isidro), and the Carrascalejo wine was the first to gain nationwide recognition. In 1994 the wines of Bullas received protected geographical status (Denominación de Origen), and since then the town has continued to grow in geographical, economic and demographic terms, with a population which by 2015 had now risen to just under 12,000. 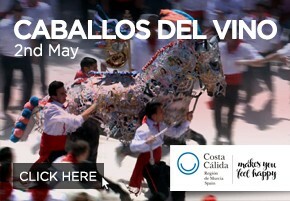 For more local news, events, wine routes and other information go to the Bullas section of Murcia Today.